Toasted hot cross buns smothered in butter! .. with a bit of chocolate on the side of course! Chocolate eggs - always the giant ones with lots of minis inside! Cadbury's creme eggs. Just that once every year. Matchmakers easter eggs - Love them. Love easter eggs!! I'm a chocoholic..
Love mini eggs, always remind me of childhood. love the chocolate eggs, tastes so much nicer than a bar of chocolate, Strange ! I am a big kid. Love a big easter egg. creme eggs or mini eggs, can't beat the stuff you had as a kid! just the fact that its a great excuse to eat chocolate, particularly love hotel chocolat egg and soldiers! I like dark chocolate, white chocolate and all that's inbetween! chocolate and lots of it!! Hot Cross Buns with LOADS of butter! My favourite Easter treat? I do love a nice Hot Cross Bun. And, Boyfriend isn't a huge fan, so I get then all to myself! :D Yum! 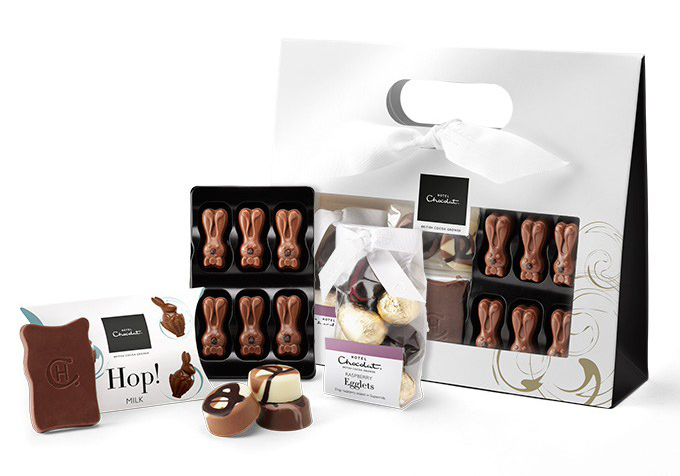 Lindt chocolate bunnies - so cute, so yummy! I love hotel chocolat so something there would be dreamy! Hot cross buns, especially now I've discovered the chocolate ones ! An Easter egg with Cadbury Creme eggs inside, YUMMY! Hot cross buns, buttered and cut into soldiers then dunked into melted easter egg! I love mini-eggs or anything with caramel in it! Hotel Chocolate Just Milk Extra Thick Easter Egg - Thanks for the Giveaway! I'm partial to a Creme Egg - I don't allow myself any until Easter week! 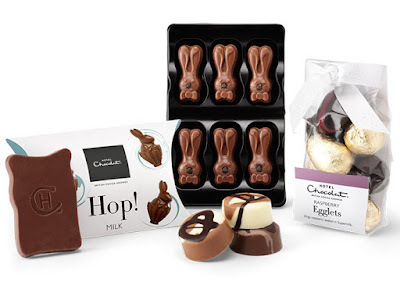 Dark Chocolate Dairy-free Easter Eggs or chocolate cake - such a rare treat, yet my better half tracks something down most years for me - I would love to win some Easter treats for him - fingers crossed. Caramel eggs! I love them. Though you used to be able to get mallow and caramel and those were even nicer! Either Mars or Caramel eggs, which don't seem to be anywhere this year! Boo!! I love Rocky Road Extra Thick Easter Egg from Hotel Chocolate. A big salted chocolate egg in the sunshine! Lots of naughty choccy choc! Definitely the chocolate Easter eggs!! I am a sucker for Mini Eggs! Some top quality chocolate eggs! I love a Creme Egg! I do love Hotel Chocolat! A bit too pricey for me tho! Has to be the Lindor easter eggs for me, they're so moreish! Lindt bunnies, they taste amazing! favourite easter treat has to be warm hot cross buns with lime marmalade - delicious!! Simnel cake and home-made hot cross buns. For some reason, it's the only time I prefer milk chocolate over dark, so a big old good-quality milk choccie egg is great for me. Milk chocolate Easter egg with mini eggs inside. Hot cross buns with lashings of butter! This time of year I can't resist those nests made from cereal and chocolate! has to be cadbury easter cakes! My favourite easter treat is homemade chocolate easter nests made with shredded wheat and mini eggs! Chocolate bunnies are my favourite Easter treat! Creme eggs, though they're not as good as they used to be! Love me some Cadburys Buttons ... or anything Marzipan !! Anything that contains chocolate! Dark Chocolate eggs are my favourite though. I love the mini eggs, so smooth chocolate inside the shell. 85% Dark Chocolate egg - perfect!